Renewal by Andersen of Boulder, CO is driven on providing homeowners with replacement windows and patio doors unmatched in quality, beauty, and home energy savings that benefit our customers throughout their lifetime. With over 110 years in the window replacement and patio door installation industry, Renewal by Andersen of Boulder, CO is a brand you can trust. Our design consultants listen to your needs and create a plan to improve energy efficiency and enhance your home’s beauty. Project Technicians ensure accuracy and answer any last minute questions before sending in the order for your fully customized windows. Our Installers treat your home as if it were their own and clean up afterwards. A robust limited warranty is backed by a commitment to making sure your windows function as expected. The Better Way to a Better Window in Boulder, CO from the Replacement Window Division of Andersen Window Corp. Renewal by Andersen’s® Signature Service is the perfect combination of the best people in the industry, a superior process and an exclusive product. From design and sales through installation and service, we own the entire process—giving you a single point of contact and helping make replacing your windows and patio doors the best home improvement project you’ve ever done. 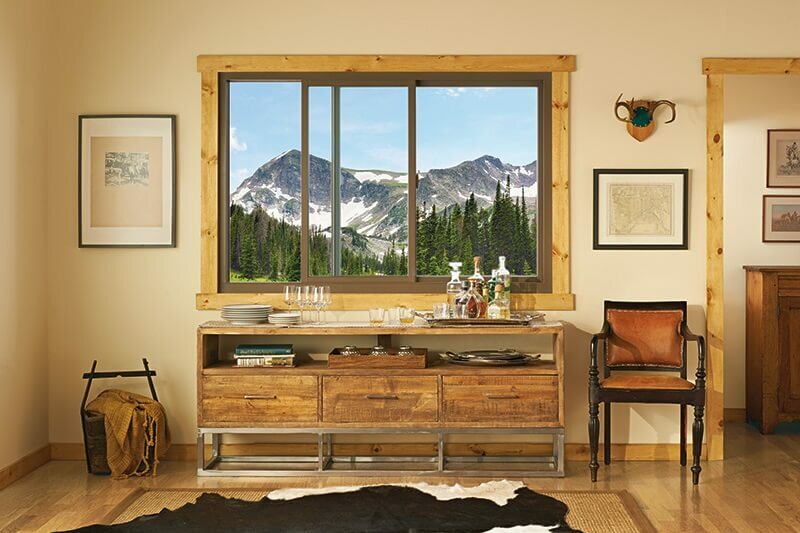 It’s the kind of service you would expect from the Andersen name, and it’s only available at Renewal by Andersen® of Boulder, CO.
What sets Renewal by Andersen® apart is our focus on the whole window performance for improved comfort of your home. Using our advanced window technology, we’ve designed every window with elegant, narrow frames, allowing more glass and more light into your home. Our energy efficient windows are designed to help keep the outside elements at bay so you can enjoy a comfortable, and affordable, home temperature. Opting for a lesser product can mean another, costlier replacement only a few years in the future and we know you only want to replace your windows once in your home’s lifetime. Our signature service was designed to create the absolute best home improvement experience possible for your entire family. We put so much precision into the construction of your new window replacements and doors it only makes sense to have them installed by Certified Master Installers. We have long understood a window is only as good as the installation job especially since no two installs are the same. Click here to visit our installation page to learn more about what to expect on installation day at your Colorado home. Andersen Windows Fibrex® composite material is the result of years of perfecting the perfect window replacement material. It combines the strength and beauty of wood windows with the low maintenance, rot proof feature of vinyl replacement windows. 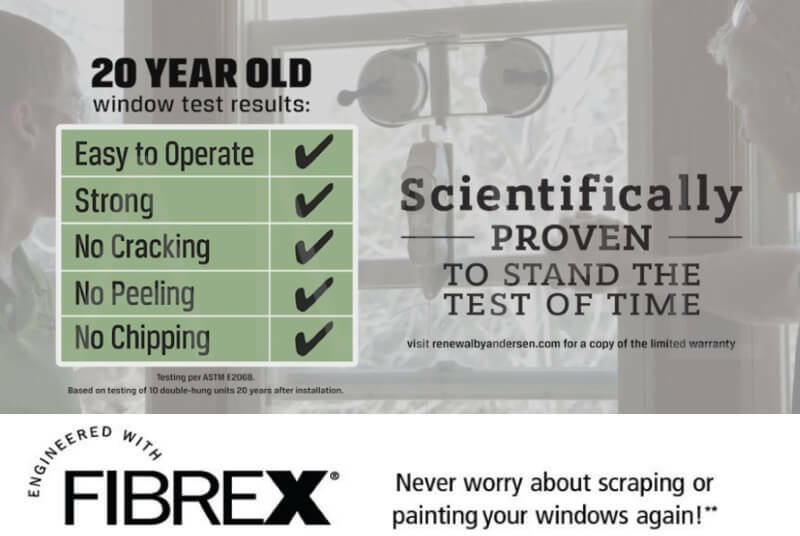 Your window will perform flawlessly for years when opening and closing. The insulating properties of Fibrex® also result in cost saving energy efficiency every homeowner demands. Your home will stay cooler in the summer and warmer in the winter. 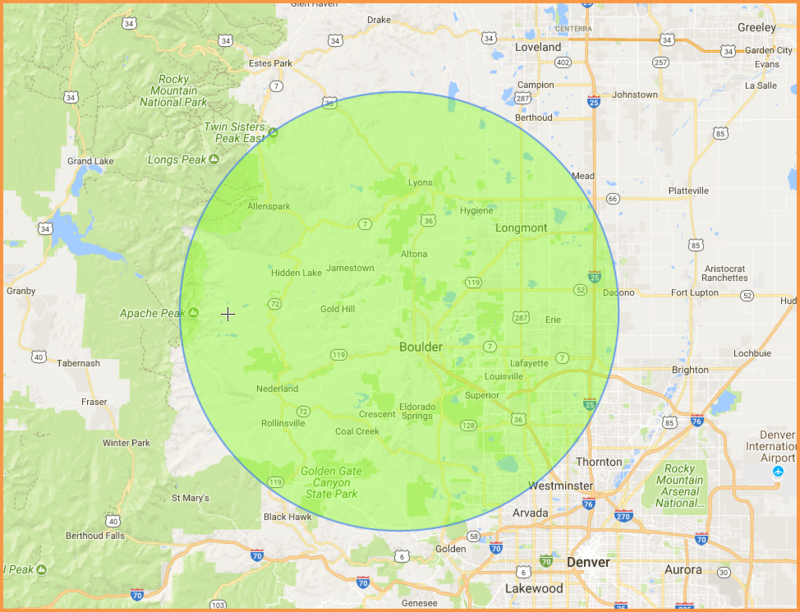 Our specialized glass options also contribute to this and are designed for the Colorado climate to provide a comfortable indoor space at all time. Renewal by Andersen offers a full range of the most tastefull color, hardware, and grill options for your windows and doors. We can help you pick out the perfect combination that matches your home and your sense of style. Whether you are more traditional or like a sleek modern look, we have the right window option for you. Because our Fibrex window frames are so strong, we are able to manufacture windows with more glass space, maximizing your view and creating a less bulky look. We even offer sustainable wood interiors such as pine, oak, and maple so you can create a vintage look if desired. There is truly no limit to what you can make of your Boulder area home with Renewal by Andersen window replacement choices. Renewal by Andersen makes sure you never have to deal with the hassle of dealing with multiple contractor or ones who are not accountable to the product they sell and install. Because we control the entire process including measuring, manufacturing, installation, and post sale customer care, we can ensure each step is smooth. 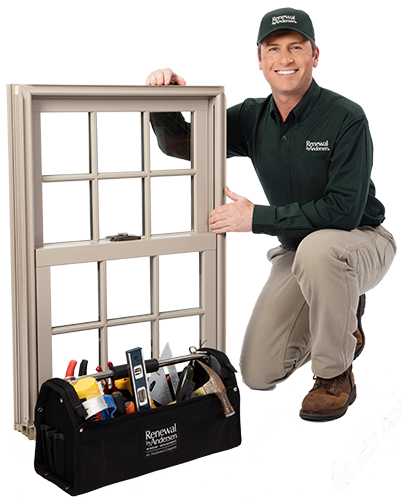 Renewal by Andersen master window installers go the extra mile to ensure precision, leave your home spotless, and even clean up and dispose of your old windows if you desire. We truly are a better way to a better window for your Colorado home. Renewal by Andersen® is the window replacement subsidiary of Andersen Corporation, a company that has revolutionized the window and door business for more than 110 years. Our Fibrex® material is proven to stand the test of time. After years of enduring Mother Nature’s mood swings, our replacement windows still look brand new and open and close as easily as the day they were installed. A lot can change over the years, your windows shouldn’t. This is what you can expect with Renewal by Andersen’s exclusive Fibrex® composite material. This was my second purchase from R.B.A. Was so pleased with first purchase/installation, they were the only company to contact. The man that measured the windows did an excellent job. That is the key for the windows to fit and the installation to go really well. I think that was Mike. We are very happy with the windows we had installed in our home that was built in 1978. The old windows were hard to manage and were not energy efficient. Our new windows are easy to open and close and beautifully constructed. The house is more quiet and energy efficient now. We could not be happier with our new windows from Renewal by Anderson, they are the Best! The installer was great and did a wonderful job. Complete by himself. Although the price was very high, it is a wonderful door and slides great. I would definitely recommend Renewal By Anderson to anyone and everyone. The whole process from the very first phone call to the end product was seamless. RBA (Renewal By Anderson) does all the foot work - all the client has to do is be home for the measurements and the installation. Everyone I interacted with was very helpful and treated me with respect, like I was more to them than just a client. That is much appreciated these days. Thanks for everything RBA!!! We've completed phase 1 of our window replacement project and are very satisfied with the product and installation. We're already seeing a reduction of noise and of the amount of heat we used to feel coming through our old windows. We're excited to embark of phase 2 soon! When installed there were two things we were unhappy about - wasn't what we expected. Made a quick phone call and they sent someone out right away to fix the two things. Very good service, beautiful windows. I am very happy with our new windows, they have really made a huge difference. I would recommend Renewal by Andersen to anyone. From start to finish I was treated great, thank you very much!! Love the windows...The old windows had been leaking and caused some water damage inside the rooms and I will not have to worry about that again. I'm getting compliments from the neighbors also, it just looks so much better. 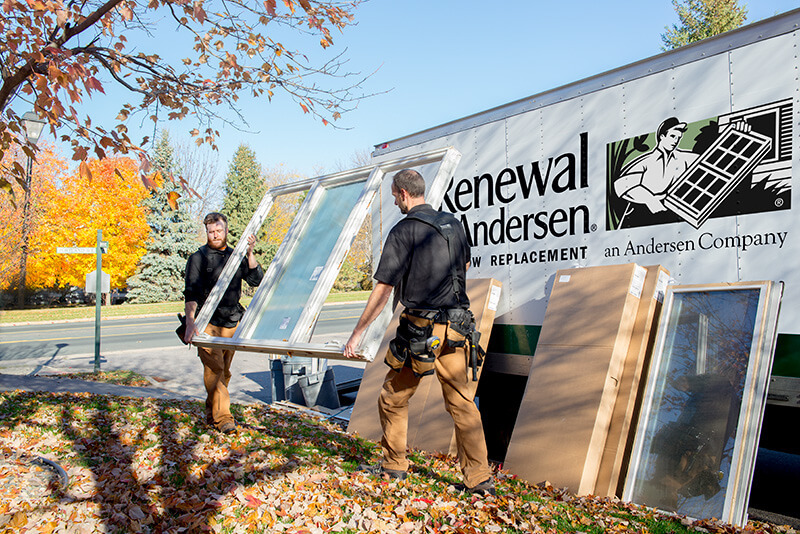 Renewal by Andersen is proud to serve Boulder, Longmont and all of greater Colorado with the finest quality window replacements and patio doors on the marked. Contact us today for a price quote on our start to finish window and door replacement. Want Renewal by Andersen windows in Denver or Colorado Springs? Renewal by Andersen designs and builds windows made from sustainable and recycled materials, our windows benefit not only our customers but their neighbors as well. Learn More.